Students in grades 5-8 are moving through the Logic stage of learning. During this stage, they study the relationship of facts they learned at the grammar stage and how they fit or work together. They also are examining arguments. Although Bible is not a separate subject after 5th grade, a Biblical worldview is interwoven into the teaching of all subjects. Logic students attend core classes either Monday/Wednesday or Tuesday/Thursday. After school, students can receive additional help by attending a Math or Latin lab. 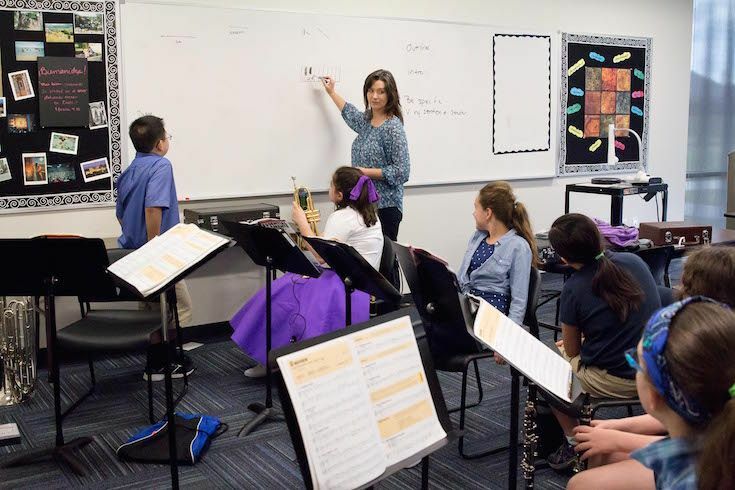 Friday electives give Logic students an opportunity to enhance their learning through Classical guitar, Band, Art, Science Experiments and more. Collin County Junior High athletic teams are available for students in grades 6-8.